Yes I know it’s not a portable computer. In fact it’s barely a computer. 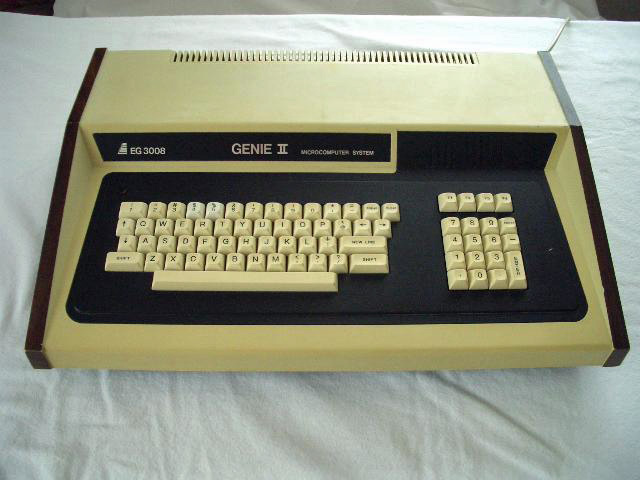 But it gets into my list as it was the first computer I ever owned. I learned to program in basic and Z80 assembler code, and even ran my first business running a marketing database that sent reminders out from the ‘Green lane motor company’ that their clients’ car was due for service. I had to fight an Epson MX-80 dot matrix printer and make mailing labels every month. Later I got a second client and used to send reminders to husbands that their anniversary was coming up, offering a free glass of wine with coupon. 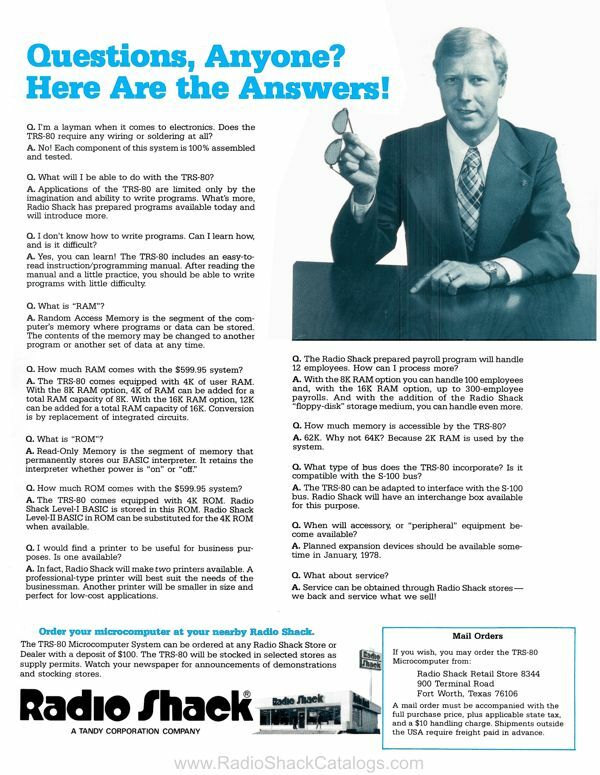 My dad and I easily paid for the hardware with (early) junk-mail! So I suppose it really was a computer. 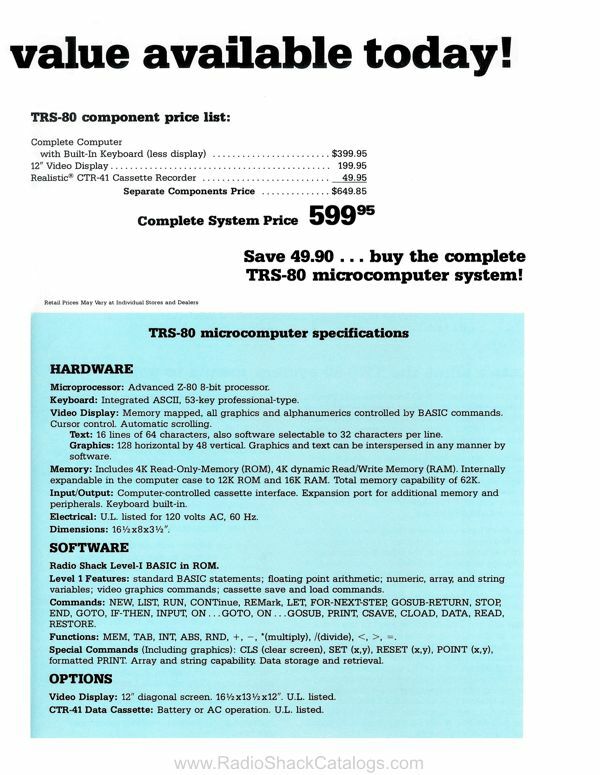 By 1979, the TRS-80 had the largest available selection of software in the microcomputer market – including some bad adventure programs written by me. In my defense, it did come with an optional transit case! 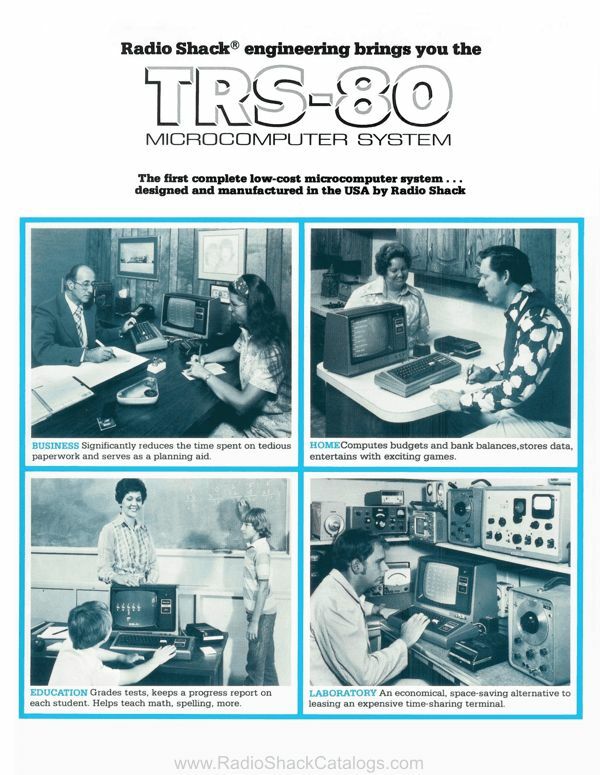 TRS-80’s has the Zilog Z-80 processor and 4K or 16K of RAM. 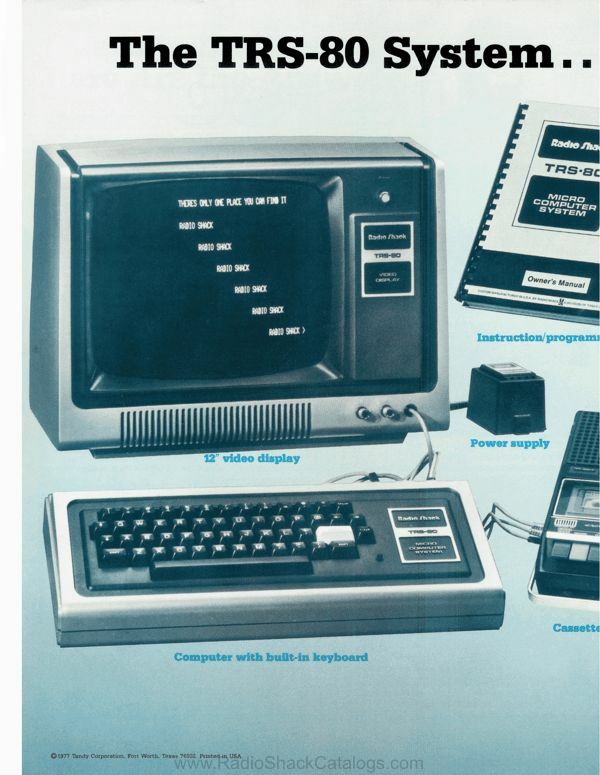 By the time I’d finished upgrading mine, it had two 87.3K Floppy Drives. 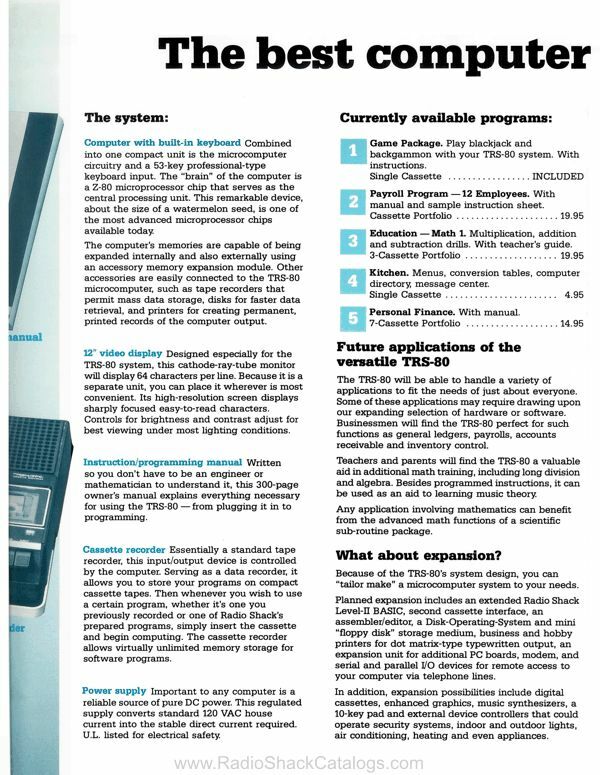 Tandy sold over 10,000 TRS-80s Model Is in its first one and a half months of sales, and over 200,000 during the product’s lifetime. 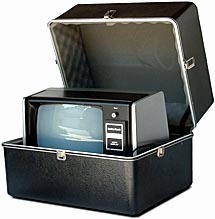 The product was popular enough it had a clone – the Video Genie. I actually had a Video Genie as it was a long way to a Radio Shack where I lived in England. 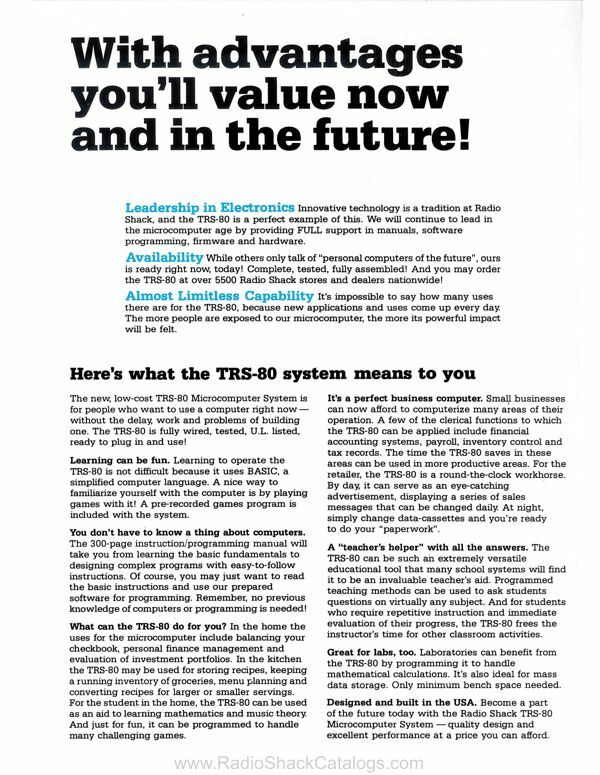 There is still some activity on the web for die-hard ‘trash-80’ owners – Try TRS-80.org.uk who are still producing a monthly newsletter!